Protein bars- they are found everywhere these days, touted as healthy snacks but is that really true? During my very rudimentary research I came the following stunning conclusion! Group B: we are serving 20 grams of protein with a relatively low carb/fat content but we are throwing a chemistry lab at you to make it taste good ( once you take out carbs and fat for taste, you need to add sweeteners and artificial flavors to make it taste good). Group C; We are having your best interest in mind, using only very clean ingredients but sadly this makes for a carb and fat bar with some protein added. 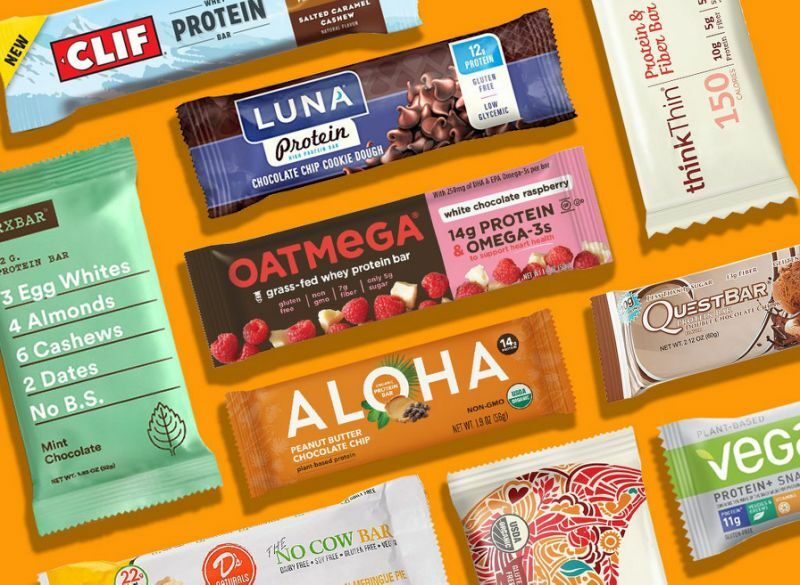 Most of these bars range somewhere from 12 grams of protein with 25+ carbohydrates and 15 grams of fat making it a poor choice for a physique athlete. So what should you do? Skip group B, you might as well eat ice cream with a glass of milk it is cheaper and less processed. Consume bars group C as a pre workout snack if your diet allows for it. For one they can make you queasy and bloated, furthermore, the term “Net carbs” is a clever little semantic gem the food industry cooked up. A loophole in the FDA code allows companies to label maltitol as non-sugars since they do not affect the blood sugar levels; therefore, they miraculously lose their caloric value. Again, if you are not a diabetic, this has no bearing for you but they make you gassy. 2. Tapioca: That one is not dangerous but a sure sign you are being ripped off . Remember bubble tea,? The bubbles are made from tapioca starch, which is simply cheap carb. you can spend your money in better ways. 3. Protein mix: this basically means we bought a bunch of different proteins but we are not telling you the percentages . 5. Fractionated palm kernel oil: it contains lots of saturated fats, it is cheap way to increase the bars shelf life Look for cashew butter or almond butter instead. 6. Soy isolate Soy isolate is used as a protein in bars because a. it is cheap and b. it does not harden as fast as whey. But…there are actually a few different ways to make soy protein isolate, but the most common way is pretty disturbing. Hexane is a gasoline byproduct that is extremely explosive… do you really want to eat it?? 7. Glycerine : this one is also used as an add on for softening the bars, seeing it stable on the shelf and it helps with taste. While not dangerous on its own, it can cause digestive discomfort and should not be over consumed. 8. Gelatin or hydrolysed collagen is often used in bars because it is one protein that does not get hard as the bar ages, is inexpensive, and does not taste bad. Collagen is not a biologically high quality protein, meaning the amino acid profile is not optimal for humans. It basically means you are paying fro protein that you are not being able to digest. In conclusion I want to state that while bars are food but so are nacho fries. With some bars, you might almost eat a dessert since the calories are the same . Real food rules supreme any day. Previous post: NYC PERSONAL TRAINER EXPLAINS WHY YOUR SCAPULA ARE THE KEY TO SUCCESS WHEN LOSING WEIGHT! Next post: Are you sick and tired of being sick and tired?